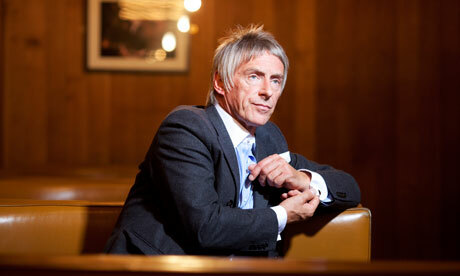 WAIST HIGH: Paul Weller Nominated For BRIT Award. Paul Weller Nominated For BRIT Award. From paulweller.com: After a stunning 2010, Paul has begun 2011 with a bang following the news that he has been nominated for Best British Male at this year's BRIT Awards. Paul is up against the likes of Mark Ronson, Plan B, Robert Plant and Tinie Tempah. The overall winner will be hand-picked by a judging panel of industry experts. To find out if Paul takes home the coveted BRITs statue make sure you tune into the show February 15th - you can visit brits.co.uk for more information and follow all the awards action as it happens.